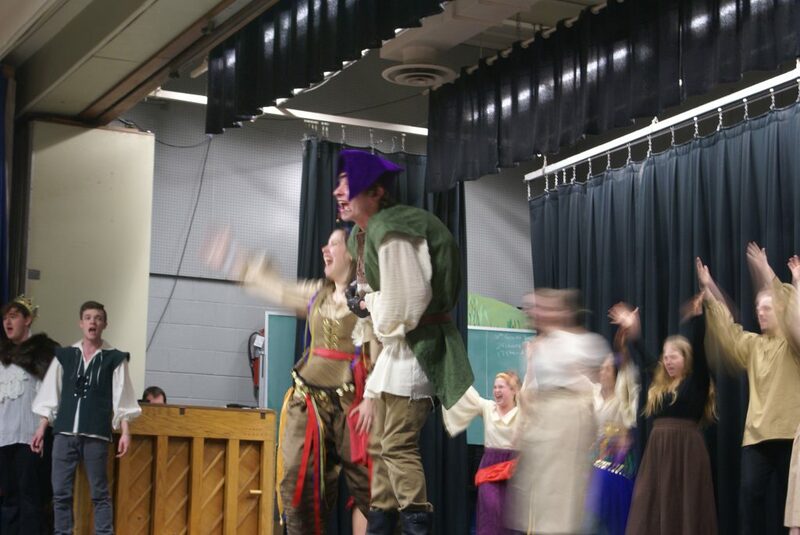 Everyone knows the tale of Quasimodo, the protagonist of the legendary “The Hunchback of Notre Dame,” which will be this year’s spring musical at Abington Senior High School, running March 8-10. 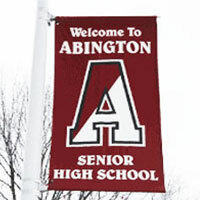 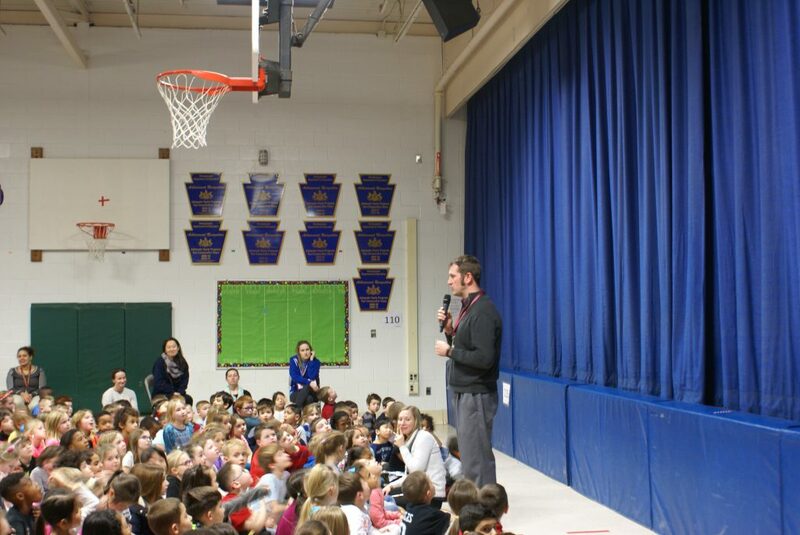 Abington is one of the first school productions of the musical, which is an adaptation of the Disney animated film from the 1990s. 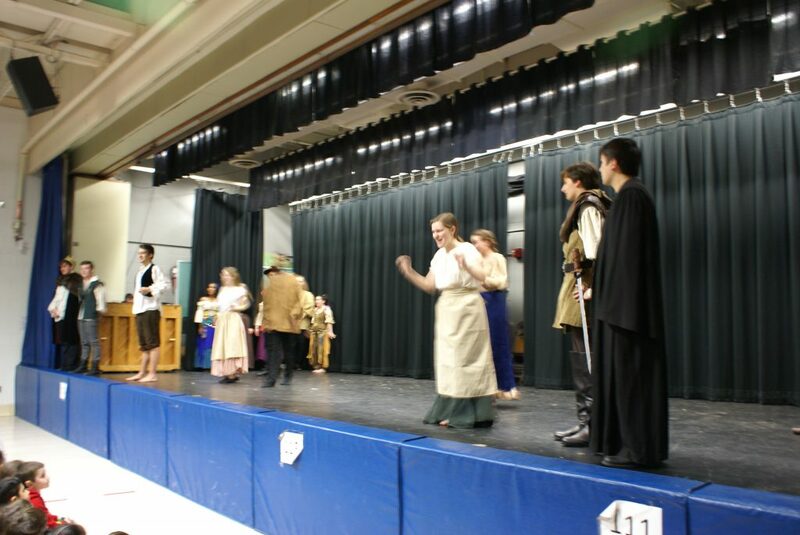 Given the underlying theme of the story-line, in which Quasimodo is judged by the townspeople based on his appearance, the show’s codirectors, music teacher Mr. Myers and English teacher Ms. Caiazzo, felt this could be a good anti-bullying learning opportunity for elementary school students. 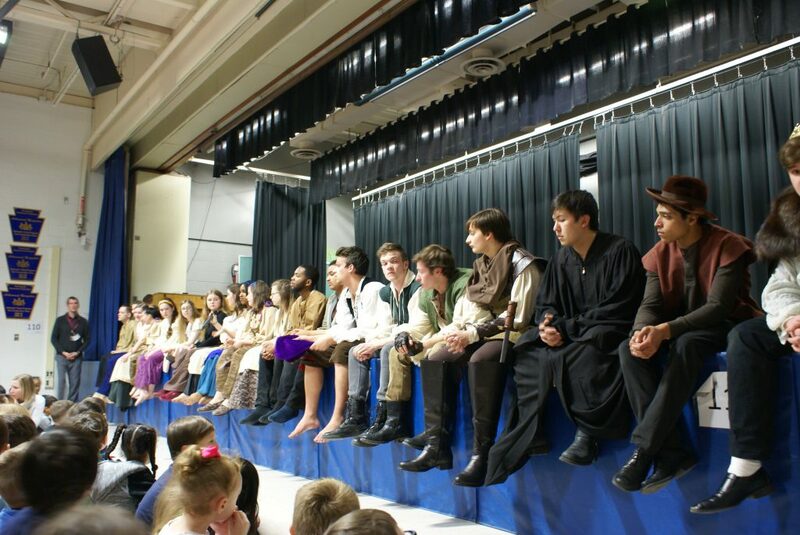 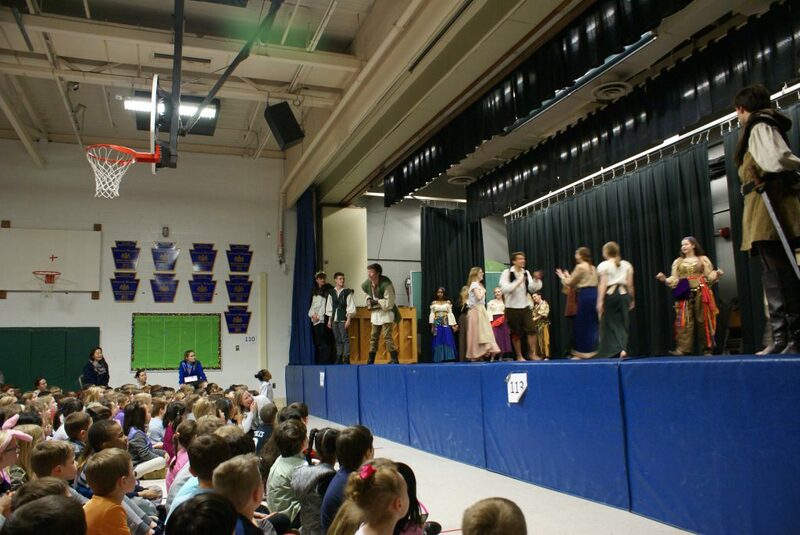 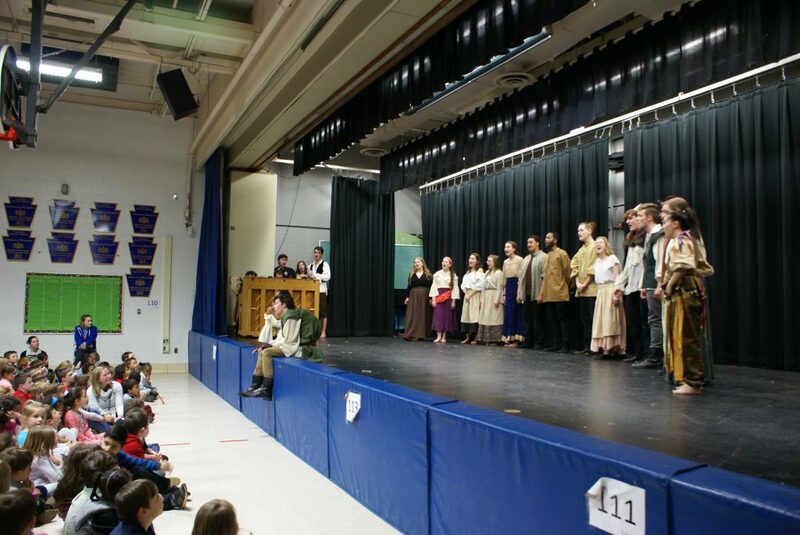 Leading up to the show’s premiere, the cast of the musical traveled around to the District’s seven elementary schools to perform a scene where the crowd bullies Quasimodo, but Esmeralda steps in to save him. 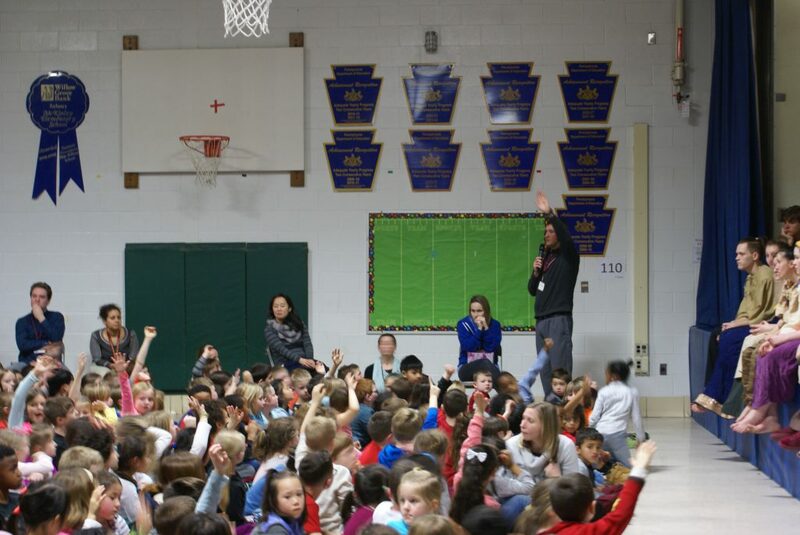 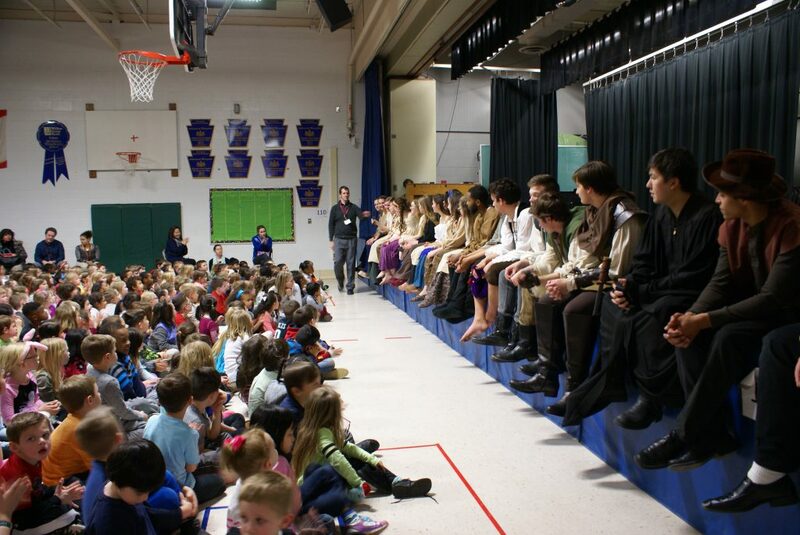 After each performance, the actors talked with students about the importance of being the Esmeralda in their own lives and being the person to stop bullying from happening. 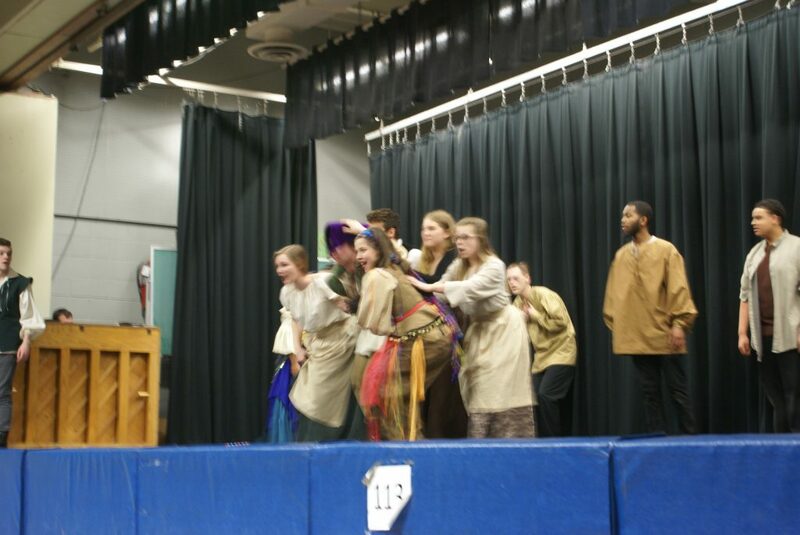 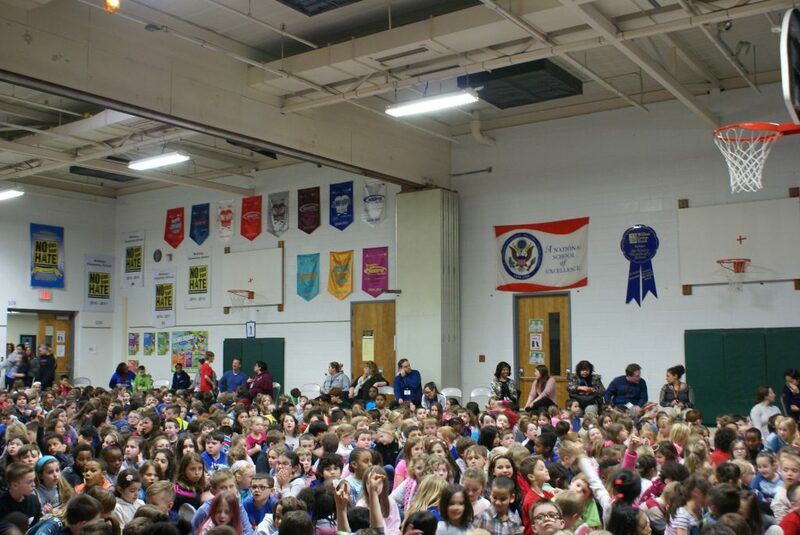 At the cast’s last performance at McKinley Elementary School on Tuesday, March 6, Senior High student Amanda Carter emphasized to the younger children that in the chosen scene, a single mean-spirited individual started the bullying, but it only took the kindness of one other person to make it stop.